I originally saw these at Cosmoprof North America - Las Vegas but now they are available! 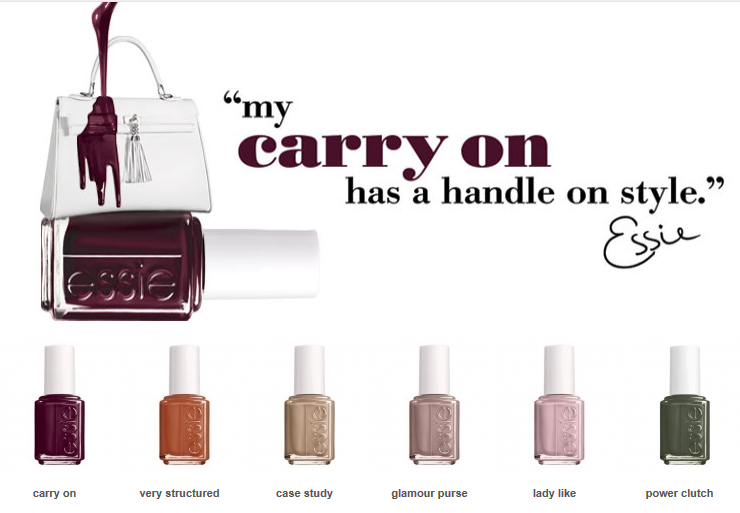 Please enjoy the following press release from essie! "Fall is the perfect time to reinvent the classics." Sensuous. Desirable. Refined. This is the season of understated luxury that exudes a quietly smoldering allure. 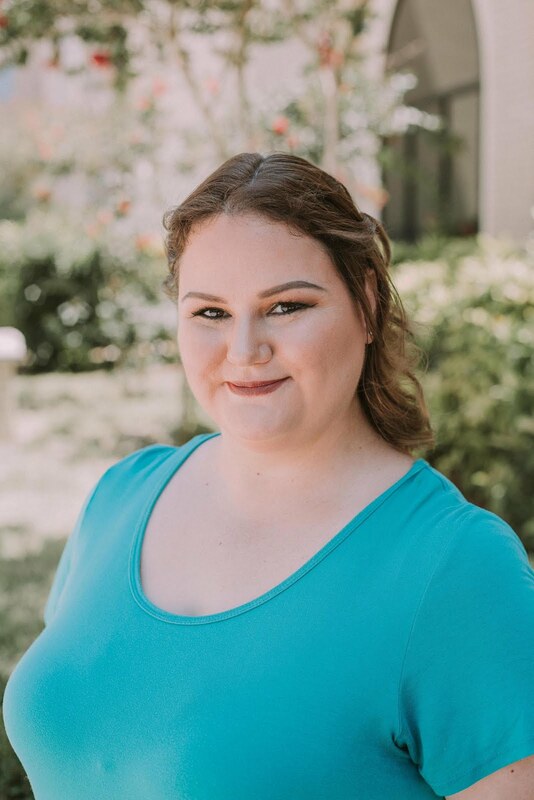 The look is powerful, bold and perfectly accessorized. Daring in its elegance and simplicity, it's a style that blends timeless sophistication with contemporary cool. This collection is designed for the woman who has an innate sense of how to put a look together with great accessories. Dress up your wardrobe with classic colors that carry you through every fashion adventure. Carry On: Can a color encapsulate the spirit of an entire era? This magnetic mulberry merlot is the one. Bold, intense, romantic. Now and forever. Glamour Purse: This incomparable almond blush is a scene-stealing beauty that creates a stir wherever she goes. The girl can't help it. Lady Like: Etiquette, posture, protocol. Did we miss anything? Oh, yes, this pretty, demure pink. It's just the thing, you know. Case Study: This shade of rich camel beige exudes Ivy League charm with a hint of sweet seduction. A case study in the very meaning of a modern classic. Very Structrued: Get down to business with this shade of creamy burnt sienna. Add this soft tan to your agenda. Power Clutch: Nighttime is the right time. What happens when this enigmatic darkest green comes out to play? It's just the right amount of impact after dark. 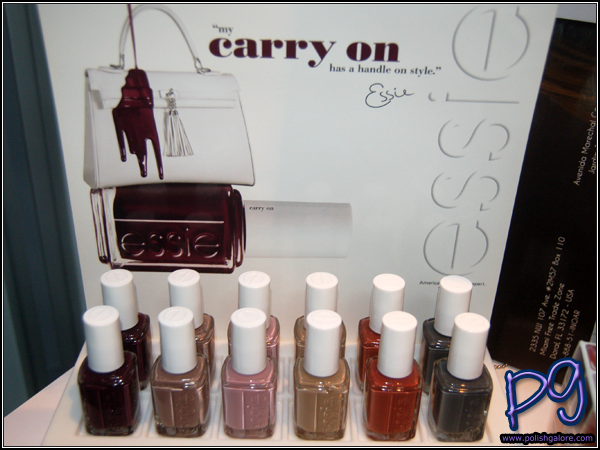 You can purchase essie in a number of locations; check out their website for more. You can also like them on Facebook or follow them on Twitter.